Lucy featured on Jazznu.com in Holland! 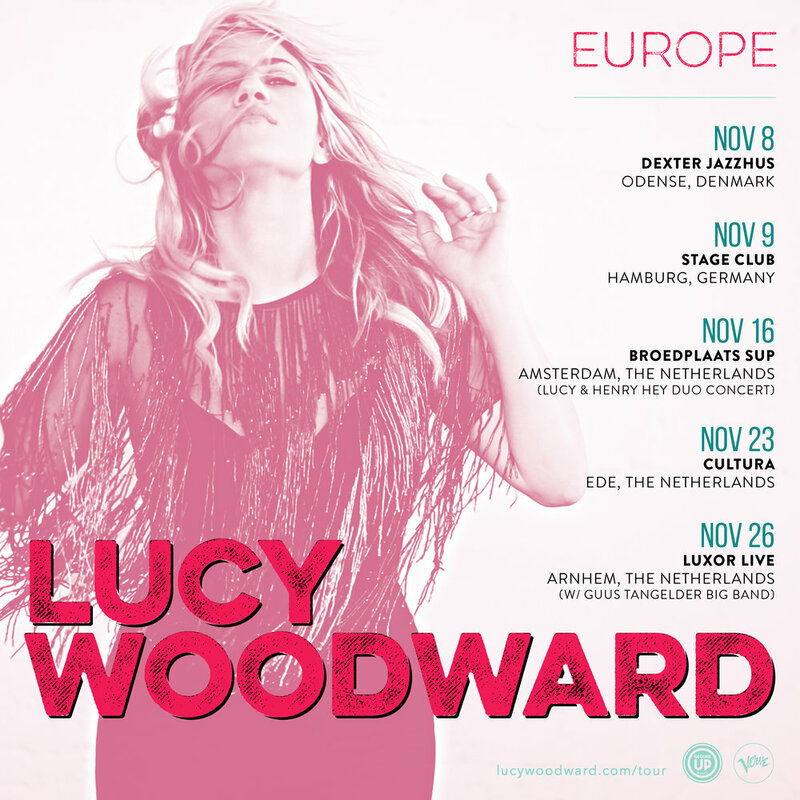 Check out Lucy Woodward as the 3rd artist to be presented by the Jazznu Series (Holland). NEW 2017 TOUR DATES JUST POSTED! I'll be jumping around for the rest of 2017! First, I'll be joining my friends Ghost-Note for 2 mini-shows in Canada. Ghost-Note is a killer band created by my dear friends percussionist Nate Werth and drummer Robert "Sput" Searight (of Snarky Puppy). I'll then swim off to sing the music of Peggy Lee on a jazz cruise and then I'm back to Holland, Denmark and Germany for more musical shenanigans with my awesome Dutch band. I'm also sprinkling in some Big Band fun, recordings and master classes in Holland to keep that soul train rolling. And I'll be starting the new year off in a 15th century castle in Denmark workshopping with young singers and musicians from the University. Cannot wait for this. 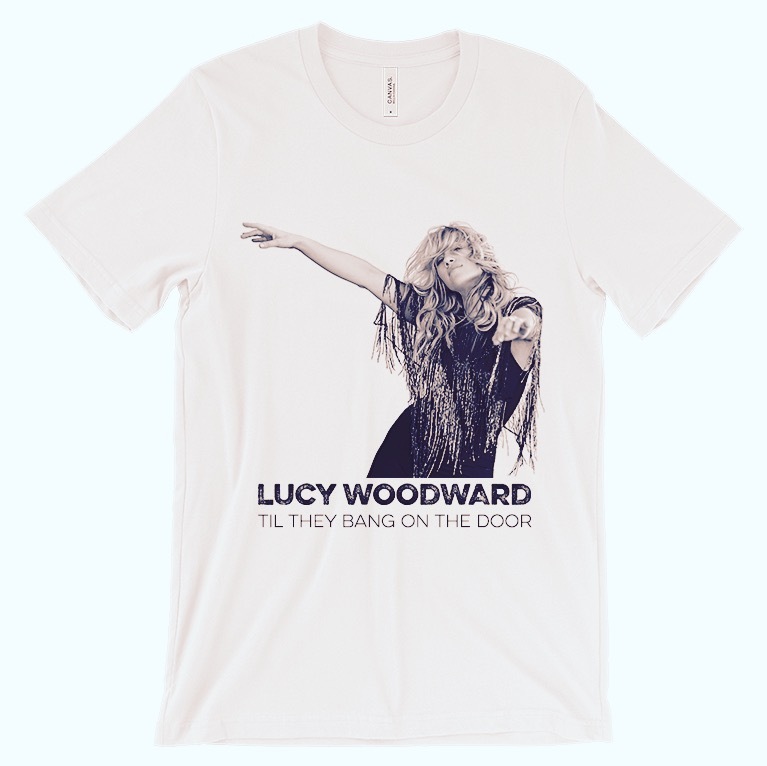 All info on lucywoodward.com/tour or facebook.com/lucywoodward. Come find me somewhere and let's hang! Lucy performs her songs "Big Band" style in Denmark! The last couple of months I have been working on Big Band arrangements re-working material from my last 2 albums. It's sort of a rebirth of my music and it's been incredible to see it develop. I love brass, particularly low brass - and now I get to surf the horn wave live in concert. My dear friends/arrangers Dave Richards, Jamey Tate and David Ricard have created some seriously beautiful arrangements and I am honored to be debuting this material with the TipToe Big Band in Denmark! See Tour page for details. Live in Memphis on NPR! Each week, Beale Street Caravan brings the Sounds of Memphis to an international public radio audience. Live, concert performances from contemporary masters of blues, soul, folk, and rock n roll. Download Lucy's free live show in Memphis on iTunes! Episode #2126. Video shot and directed by Sophie Conin and San Bhugaloo at Patronaat, Haarlem, NL. "Til They Bang On The Door" goes to radio! Check out the latest from Timucua Podcasts! The lovely and charming Dave MacDonald asks me questions about coming up in New York City, jazz school and my calling...listen HERE! Snarky Puppy hosts the first annual GroundUP Music Festival! Soooo, next weekend in Miami, Snarky Puppy will be hosting the first GroundUP Music Festival for 3 days from Feb 10-12! The line up is ridiculously amazing - Esperanza Spalding Laura Mvula Nikka Costa John Medeski Bill Laurance to name a few. There will be clinics, workshops, masterclass and jams every night and I am pretty sure I will lose my voice by Monday morning. I'll be playing Feb 11 with my boys and part of a songwriting workshop with my compadres later that day. Then on Valentine's Day, I start my 2 week tour in Miami! See Tour page for more info! Now available in ash and baby blue in all sizes on the Merch page! I have been touring all month promoting my album new album "Til They Bang On The Door" (digital or physical). Am covering some incredible ground, meeting new faces, playing with some super special groove maestros trio-style. October will be revving up the caravan once again for US Southeast tour so check out my TOUR page for more info! And if you haven't heard the album yet, go get 'er! Thank you all for supporting live music. Some of you drove long and far for these shows and I can't tell you how much I appreciate it. Be-yond. Tickets now on sale for west and east coast shows in February, March and May, 2016! Lucy featured in NYC's Downtown magazine column "Really Busy People" - READ HERE!